The latest Jeep Grand Cherokee has hit the market and is taking the competition by storm. No longer are you asked to compromise fun for practicality thanks to the Grand Cherokee’s smart design and engineering which combines exceptional power and great fuel economy. You’ll be able to manage bumper to bumper traffic without causing a fender bender while the roads less travelled become limitless. Looking for a Grand Cherokee near Vegreville? Make Bonnyville Dodge your first and only stop. 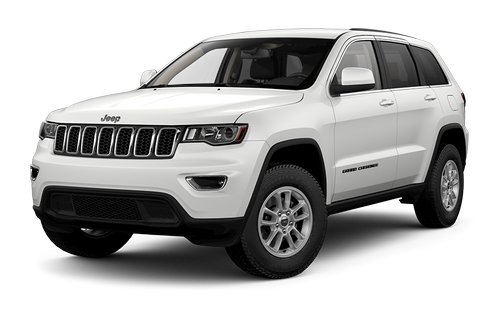 You can own a brand new or previously owned Jeep Grand Cherokee today by stopping visiting Bonnyville Dodge. All our vehicles are in great condition and our team of sales associates, financial advisors, and service technicians are always on hand to help you with your purchase. Our dealership offers a low-pressure atmosphere to all customers, so you won’t feel pressured into a purchase you aren’t 100% committed to. For more information and to take one of our Jeep Grand Cherokees near Vegreville out for a test drive, visit Bonnyville Dodge located at 5605 50 Avenue in Bonnyville, AB. Or, give us a call at 780-826-2999 for any further information about our vehicle lineup. We look forward to serving you! We will match or beat the price on a new vehicle with similar specs. We have the latest tools and equipment as well as expert technicians to get your Grand Cherokee fixed right the first time. We are proud to support many organizations near Vegreville. Long Road Trips? Bring Them On! Want to know how to take the “are we there yet?” out of your next road trip? With the Jeep Grand Cherokee, of course.It offer plenty of hidden storage, a large cargo space, and reclinable seats. Modern technologies and USB ports are also available to help keep your passengers entertained. In fact, you may just find yourself wishing that the trip was even longer. Enjoy every kilometre in the Grand Cherokee. 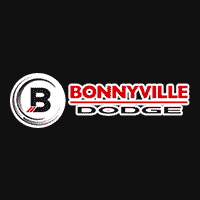 Bonnyville Dodge sets itself apart by offering one of the largest selections of both brand new and previously owned vehicles to choose from in the Vegreville area. This includes the Jeep Grand Cherokee! Buying pre-owned from our dealership won’t come with the same headaches associated with buying used cars online or directly from an owner. We’ll ensure any vehicle is thoroughly inspected by our service team before it hits our sales lot, so you can drive with peace of mind. There’s no better place to find a Grand Cherokee near Vegreville. The latest Grand Cherokee comes with upgraded technologies to improve your driving experience. This includes a 7-inch, full-colour display that displays important information about your Grand Cherokee, such as mileage, fuel economy, tire pressure and more! You can also access safety information at the touch of a finger, so you feel safe no matter where the road takes you! Want even more? Keep your apps, maps, and music at your fingertips with the Uconnect multimedia centre. Stay connected on all of your everyday adventures in the Jeep Grand Cherokee. When you choose the latest Grand Cherokee, it means that you’re driving a vehicle with best-in-class 4×4 capabilities. The Grand Cherokee gives you options for 4x4ing such as Quadra-Trac 1, Quadra-Trac 2, Quadra Drive 2, and Quadra-Trac SRT active on demand. You’ll also have the option for the available Quadra-Lift air suspension which lifts your vehicle thanks to air springs. This gives you the kind of go-anywhere, do-anything capability you’d expect from any vehicle with the Jeep name. At Bonnyville Dodge, we know that we wouldn’t be where we are today without the continued support and trust from the community. That’s why we show our appreciation for our customers by offering the best selection, prices, and customer service from our hardworking and dedicated team. We believe that leaving the lot with a new vehicle is just the beginning of an ongoing relationship and are proud to provide the highest level of vehicle service and repair in the Bonnyville, Lloydminster, St. Paul and Edmonton areas to keep you in a reliable new vehicle for many years to come. Come see us today at 5605 50 Avenue in Bonnyville, AB or give us a call at 780-826-2999 to learn why we are considered the premier Dodge dealership near Lloydminster. Pleasant experience and helpful throughout the entire process. Would return for our next purchase. Just bought my jeep here and I received exceptional service and quality vehicle. The staff had lunch brought in and even shared as we waited for some of the paperwork. I will definitely be back!!! Great service. The staff was extremely helpful guiding me through the process as it was my first vehicle purchase.